The Mighty Morphin Power Rangers began on FOX in 1993, and it featured Amy Jo Johnson and Jason David Frank. Since then, the network has seen several different incarnations. The first live action series focused on five different rangers, and a planned Power Rangers movie will focus on the original characters created for that live action series. According to Cinema Blend, that announcement was made via Twitter on Friday. That means the planned film is not a revival but a true reboot of the popular children’s live action series. There is one notable exclusion from the tweet. There is no mention of Tommy, who later become the sixth power ranger on the series. Jason David Frank has been pushing for the new film, so the absence of Tommy is odd. Casting has been on-going for the film in recent weeks. 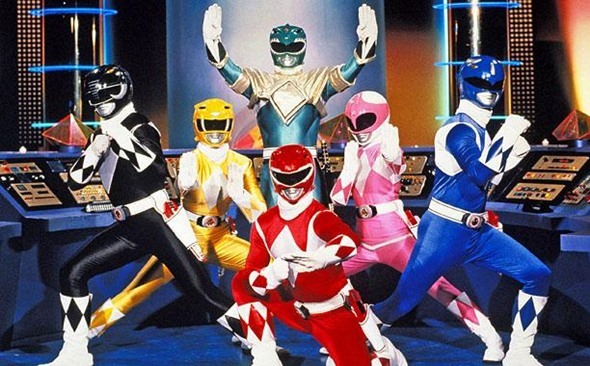 The new Power Rangers film is currently set for a 2017 release. Are you excited for the return of the Power Rangers? Are you concerned about the film being a reboot and not a continuation? Tell us what you think. I think it wise to reboot the live action series only because it is a excellent way to tell more of the story that you want to tell our viewers of the live action series, because the more you tell the story the more viewers will watch and to see the number of the viewers will soar. How exactly is Trini going to be back? The actress passed away. Otherwise the movie sounds exciting. I assume it will separate itself from the TV series but that the TV series will continue on in its current form. I don’t know if any of the original actors will be back, they are just saying it will focus on the original *characters*. I was confused at first too.